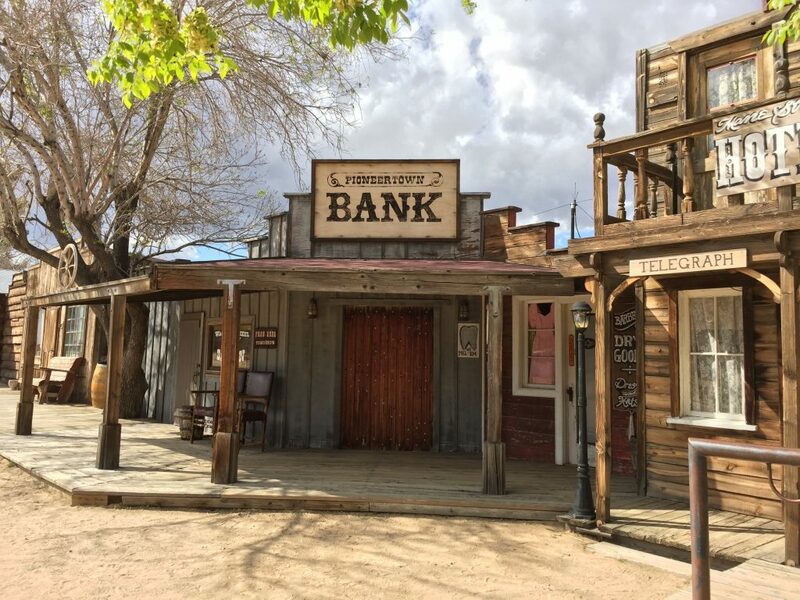 A trip to Joshua Tree isn’t complete without a side trip to Pioneertown, CA. 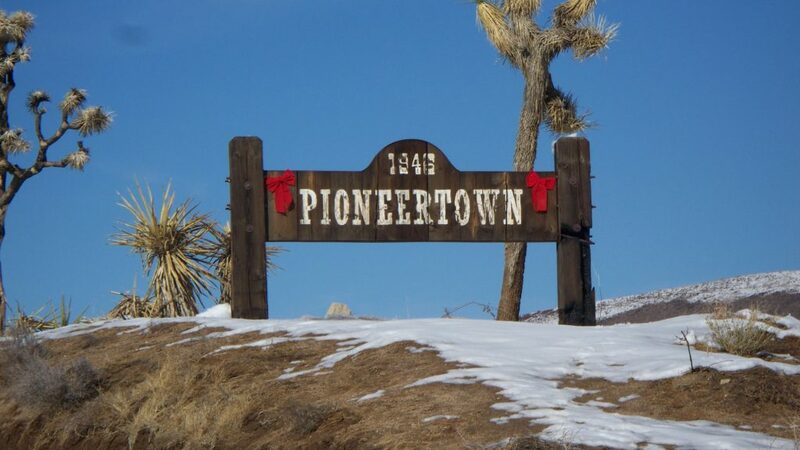 Built in the 1940’s, Pioneertown was created and used as a western motion picture set. The buildings were also designed to serve as housing for the actors and crew while they filmed. 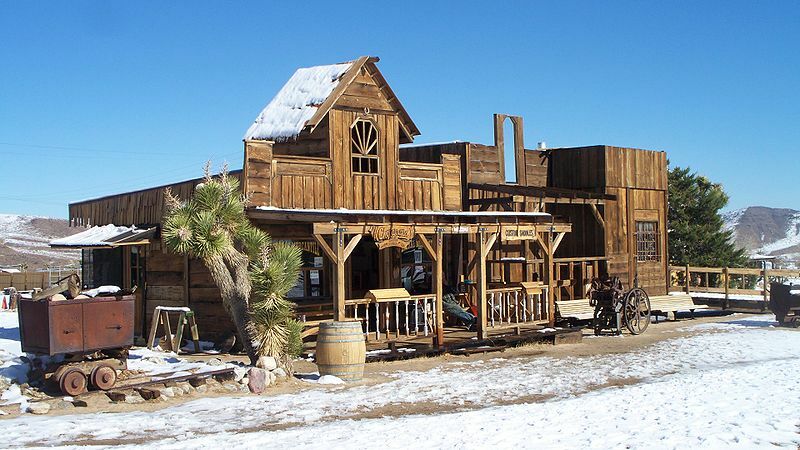 The Cisco Kid and Judge Roy Bean are two of many films shot at the site. 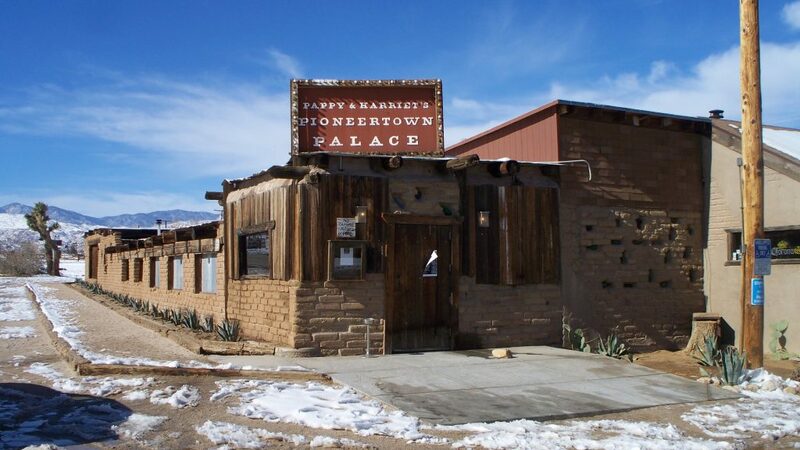 Among the buildings is Pappy & Harriet’s Pioneertown Palace, a restaurant and live music venue that is frequented today by both locals and tourists. Recent performances by Paul McCartney and Lorde continue the trend of pop up performances by famous musicians at Pappy & Harriet’s. If you plan to dine there, be sure to check in with the hostess and get your name on the list. It’s a busy restaurant/bar and on weekends it can take up to a hour to get a table. The wait is worth it though, and you can pass the time exploring the rustic town. Pappy & Harriet’s Pioneertown Palace. Credit: Wikicommons. 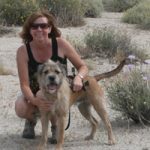 The town has a population of 350 (2006 census) and features a few small businesses including the Chapparosa Saddlery, Pioneer Bowling Alley and the picturesque Pioneertown Motel. There’s even a post office. Pioneertown Corrals offers tent and RV camping; corrals are available to rent if you’d like to horse camp. On weekends you can watch free Old West reenactments performed by volunteers of the Pioneertown Posse. The entertainment takes place at 2:30 PM on Saturdays, April – October. “Chapparosa Saddlery,” a working saddlery in Pioneertown, California USA which was once part of a permanent motion picture set. Credit Wikimedia Commons. From I-10 take Hwy 62 towards Joshua Tree. In Yucca Valley, before you reach Joshua Tree, you will come to an intersection for Pioneertown Rd. Go left on Pioneertown Rd. for approximately 4 miles to Pioneertown.